Acorn Electron ROM published 34 years ago by Slogger Soft. 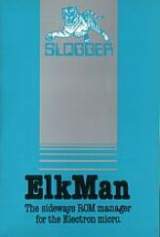 ElkMan © 1985 Slogger Soft. ElkMan is a ROM manager.